The Beatties are definitely lowlanders, not highlanders. 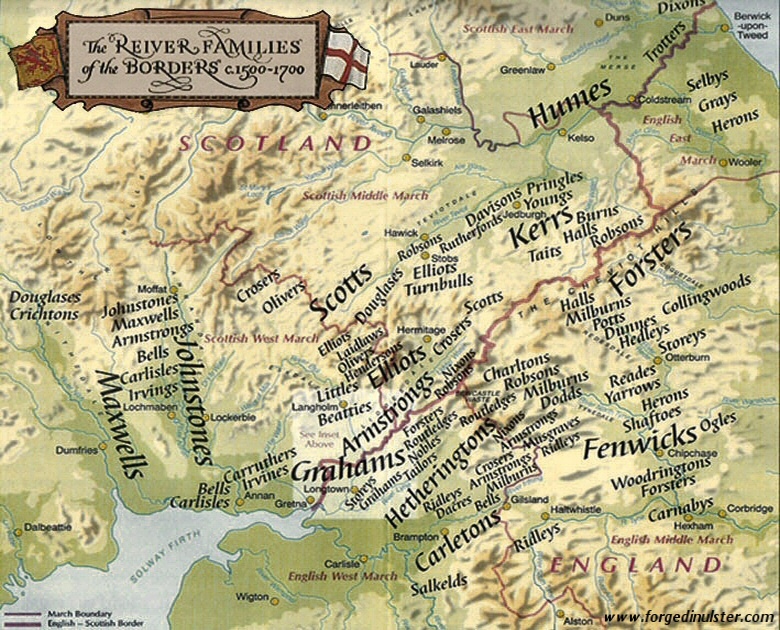 However, given the activites of reivers, it is not surprising to find some Beattie families in areas outside of border country. Beattie may indeed be derived from Bate which in turn is a derivation of Bartholomew. Ancestors of the Border Beatties were Saxon Refuges from the Norman Conquest. They escaped from London or Northumberland in the eleventh century. In 1070 Princess Margaret of the English House of Alfred and her Saxon followers fled England from the onslaught of the Norman Conquest. Their ships were driven north to Scotland and the Firth of Forth. She was taken to the court of Malcolm III, King of Scotland in Dunfermline. Margaret married Malcolm and her followers setttled in the DumFriesshire area. Others believe that Arkil of Northumberland who moved across the border in 1066 to escape the Normans was the founder of the sons of Bartholomew, Battisouns and Beatties of the Dumfriesshire area. Whichever story you believe, the Saxon origin is clear.